Congratulations! We live in the 21st century. Technology has overcome all our problems. … Right? There are more news agencies than ever before as well as independent writers and bloggers, mobile news, independent channels, faster and crisper high-definition transmission systems, citizen journalism, Twitter News, leaking news stories without a subscription and … conglomerates stuffing the piggy bank. … Yes! 11. Failure to ask the hard questions! Why a question mark? Media is not the only one to blame! The public sphere is also at fault by neglecting to question authorities and by not pressuring media networks to report today’s news objectively and accurately. The general public has become a brainless zombie, servant of today’s persuasive propaganda strategies. What does the Media fail to ask the public? “Question the government. … Defending a causeless war promoted by the government is not patriotism. … Read more books. … Help the media stand against editorial decisions run by corporate interests. … Keep your children informed by watching animal planet and documentaries instead of 5 hours of endless cartoons. … Most bling-bling rappers end up broke and homeless. … How can you become the best reader?” You get the point. I mean everyone lives so comfortably, so why question the government? Why care about news in Afghanistan or what goes on in North Korea? Then 9/11 happens and the public is stunned! Historically speaking, when everything is quiet, that is when the storm hits harder. The public is hushed. The U.S. media became a hollow box without content in the beginning of the ’90s when its quest for gossip and revenue began. True media ethics and values were left behind, which once clasped information, trust, public enticement, and unbiased questioning for the sake of accountability. The days when national newspapers like the New York Times exposed the government and tensed muscles to show off their reporting skills have mostly become illusions of a mighty past. In the early 20th century newspapers were primarily sensationalist as early adopters of the increasing media development when industrial manpower and machines ruled America. Although sensationalist papers like The New York Sun were not exemplar news sources, at the time of the bloom muckrakers and yellow journalism practices were commonly accepted among the public sphere. Yellow journalism originated in the Gilded Age of the late 19th century with the circulation battles between Joseph Pulitzer’s New York World and William Randolph Hearst’s New York Journal. However, both newspapers were known for their journalism as well as their made-to-shock stories. One good example of yellow journalism that became a propaganda model for the Spanish-American War came from an artist by the name of Frederic Remington. One of Remington’s drawings portrayed male, Cuban officials looking for messages from rebels by strip-searching a female, American tourist — a front-page classic of Hearst’s yellow journalistic practices. Well, not everything was bad. Yellow journalists were outdone by muckrakers or journalist who conducted investigative reports to expose the problem. A muckraker and writer of the New York Tribune by the name of Julius Chambers undertook a journalistic investigation inside the Bloomingdale Asylum in 1872. This investigation alleged abuse of inmates and led to the release of 12 mental patients who in reality were not insane. Upton Sinclair became one of the most predominant muckrakers. Sinclair’s book The Jungle shocked the public into passing the Pure Food and Drug Act in June of 1906. But things got even better during the Vietnam War. 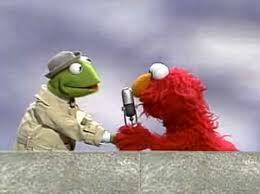 The best journalism ever practiced sprang up around those years. Newspapers reporting the altercations became examples of reputable journalism. For years the battles between the U.S. government and the media became a national stress disorder. The general public and media wanted to stop the war, but the government wanted to win! When Walter Cronkite and Ernest Leiser journeyed to Vietnam after the Tet Offensive in 1968, General Creighton Abrams told Cronkite, “We cannot win this Goddammed war, and we ought to find a dignified way out.” Obviously, the General thought the war was an unsuccessful cause despite the government rants. A few years before in 1963, John F. Kennedy’s assassination sparked national controversy when the C.I.A., Cuban exiles and the Italian Mafia seemed involved with his death. The media entered a conspiracy realm full of strange anecdotes, questions and illogical confusions. The result: a venture that began to question the government. In the midst of uncertainty an epic battle began: proportions media versus a mysterious, secretive government. In 1971 the Pentagon Papers, leaked by Neil Sheehan of The New York Times and released by Daniel Ellsberg, revealed that the government had deliberately expanded its role in the war by conducting air strikes over Laos. Such documents affected Richard Nixon’s administration and reputation. Not long after, from 1972 to 1976, Bob Woodward and Carl Bernstein were trying to uncover a case where members of the Central Intelligence Agency were caught stealing documents in the National Democratic Headquarters. The results, published by The Washington Post, led to what later became better known as the Watergate scandal. In December 1974 The New York Times released an investigative, front-page piece by Seymour Hersh, which revealed content of C.I.A. reports about their illegal or inappropriate actions. These secret activities were known as the Family Jewels. The document stated that, according to well-placed government sources, the C.I.A. had directly violated its charter during the Nixon administration by secretly conducting a massive, illegal domestic intelligence operation against the antiwar movement and against other dissident groups in the United States. Aimed at Nixon, in 1974 The Chicago Tribune continued the media rampage and slaughter. The Tribune published the complete text, 246,000 words of the Watergate tapes in a 44-page article. The Tribune not only beat the government printing but also became the first newspaper to publish the entire transcript. Long before the Watergate scandal, The Chicago Tribune ravaged a ferocious media campaign against the crime syndicates of notorious, powerful gangsters like Paul Ricca, Al Capone and Sam Giancana. In 1975 Giancana died in an atmosphere of controversy. It is still unclear whether the Outfit or the C.I.A. shot Giancana, but the Tribune raised the question. Then 2003 arrived. The U.S. went inside Iraq without excuse, blamed Saddam Hussein for hiding weapons of mass destruction, and without scratching its head the media bought into the government’s story. Patriotism and pressure were determining factors for journalists and reporters to sleep alongside the government’s blurred ideas. But: journalists and reporters are paid to uncover the truth. They are not paid for their patriotism. 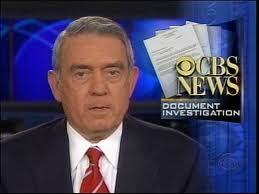 Dan Rather succeeded Walter Cronkite in the ’80s as a reputable reporter. However, unlike Cronkite, Rather was then swept by the popular opinion manufactured by Donald Rumsfeld’s neoconservative movement. 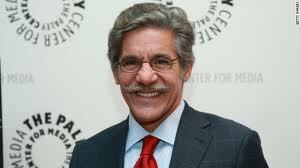 Rather is a softy just alike Geraldo Rivera — another corporate puppet. Why weren’t the hard questions being asked? Don’t ask either one, because they would not know. Once the weapons were not found George W. Bush’s excuse was to fight a war against terror. His philosophy was laughable after the war actually increased terrorism. A media storm should have bombarded the C.I.A. and then the Defense Intelligence Agency, the National Security Agency and Defense Information Systems Agency (agencies created after 9/11) with loads of questions before promoting the War on Terror. And was the price: $817,678,497,859 — with the numbers increasing — and 109,032 deaths, according to WikiLeaks, all due to a few missed phone calls and a push for higher ratings? Media failure! What if Gerald R. Ford had said “Madagascar has weapons of mass destruction. Let’s declare war to protect freedom!” One can only imagine how the ’70s, old-school media, post-Watergate scandal, government skeptics would had reacted! The old media would have sent correspondents to the island and investigated the problem with a harder analysis. They would not have swallowed the popular demand or the corporate pressure to gain popularity. During that era ethics in media was a moral concern for journalists, without business demands. Most journalists knew that Operation Freedom was a bluff, but the corporate side saw a money-flowing venture that was hard to dismiss. The story sold to the public sphere and ratings skyrocketed creating media tittle-tattle at the purest form possible. What about the 2008 Bailout? During the years preceding the collapse, why did the media fail to report illegal stock-trading of toxic derivatives to mortgage homeowners? Were The Wall Street Journal, Bloomberg, The Economist and the Financial Times sleeping with Ben Bernanke? Were they shooting dice with Alan Greenspan? Were they playing Monopoly with Timothy Geithner? I am shocked by how these huge, financial news networks failed to report an upcoming financial collapse that started almost a decade prior. It makes one question whether or not these institutions are really market experts. Below is a list of facts and questions that the media should consider and then find the answers. But if they do not, The Daily Journalist, with our limited resources, will report on them to the best of our capabilities. 1) In Afghanistan the C.I.A. found untapped mineral deposits worth $1 trillion. How could the C.I.A. find the deposits in 2010 and the media fail to continue the case and question the impact of this discovery? Did we go to Afghanistan to fight the Global War on Terror or to take control of mineral resources? 2) After 9/11 the U.S. Intelligence community started creating buildings all over the nation. About 1,300 Federal government facilities were built under top secrecy. This included contracting the services of nearly 2,000 companies and 800,000 employees. Dana Priest from The Washington Post reported the story first. Why haven’t others heavily questioned this issue? Why does the government secretly have buildings all across the nation? Where are the media reporters or investigative journalist? Are they too busy writing columns about Jennifer Lopez or Beyonce and Jay-Z’s relationship? Is the present media playing stupid or are the writers actually stupid? Makes one wonder. 3) The banking system turned the world economy on its knees. Lehman Brothers corrupted a small town in Italy. JPMorgan sold derivatives and struck deals with the Greek government, which is now in the middle of a serious depression. Why have these banks not been trialed in court? How could the Federal Reserve give billions of dollars to Citigroup, JPMorgan, Bank of America, AIG, and other banks if one considers how their greed shook the pillars of Wall Street and Main Street? Where is the media? Why aren’t they reporting the obvious? The first serious question arises. Why do we not have the sort of media coverage that was done in the past? In bygone days the journalists telephoned via landlines, used the Yellow Pages, typed on typewriters, made notes with a pin and a pad and waited for mailed documents. Our generation on the contrary has the benefits of mobile technology, Google, laptops, devices such as iPads and Droids for note taking and electronic mail. Yet we failed where the older generation succeeded. It would be the equal of flying the most recent model of a stealth bomber, capable of striking a pen from a hundred miles away, and missing the target! 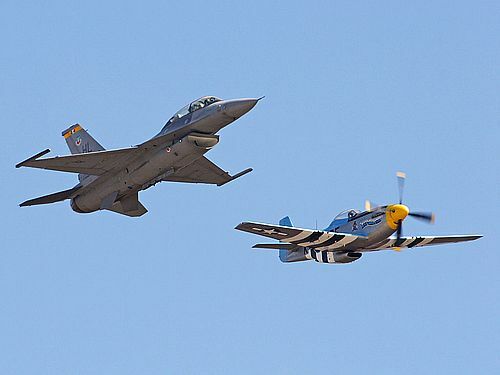 Meanwhile, the older generation was flying a ’70s, third-generation jet fighter, relying on calculated precision, but without precision technology. They not only hit the pen but also the entire pen collection with multiple shots, all right on target. Good journalism is no longer practiced in the media as we know it today. Mainstream journalism polluted itself with advertisers, consultants, corporate sponsors and elitists. Media no longer serves the public interests, but a self-interest which is the demand for higher ratings. Shame on us! Shame on the media for failing to report the important areas, and shame on the public for showing more concern about what’s happening to Justin Bieber’s car or paying more attention to a celebrity’s breasts. They got you good! Another huge storm is coming soon. Maybe this time the media can make Oprah Winfrey and Lil Wayne stand up in their ignorance to help those uneducated citizens who value gossip higher than important world news. One Response to "Present Journalism, the dead replica of its past legacy"